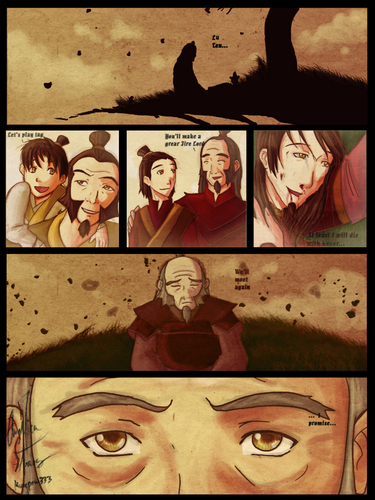 Poor Iroh *tear*. No man dies for what he knows to be true. Men die for what they want to be true, for what some terror in their hearts tells them is not true.” -Oscar Wilde. HD Wallpaper and background images in the アバター 伝説の少年アン club tagged: avatar iroh son atla image fan art sad. Iroh and his son Liu Ten, the artist's interpretation is that he died in the war.